But even better, you can subscribe to Facebook notifications about these events. 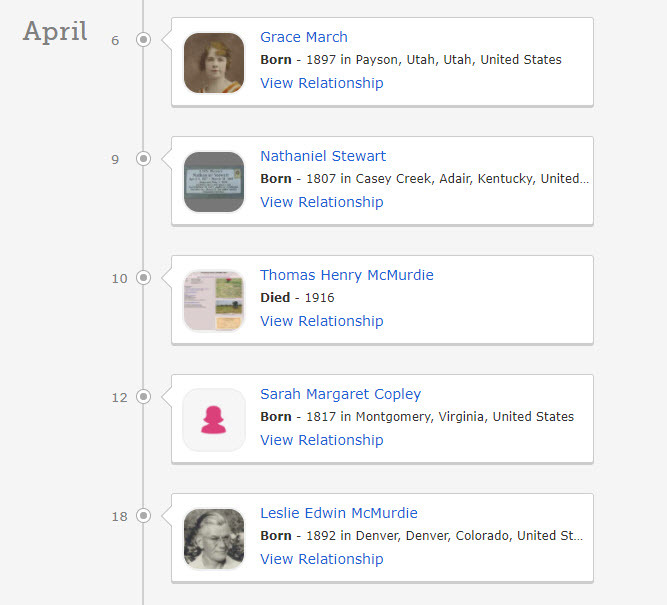 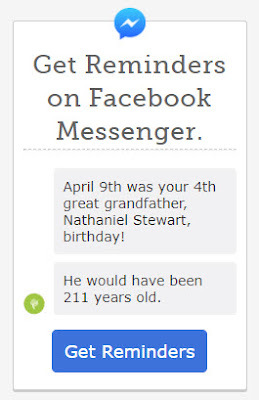 Click on Get Reminders, and you will start receiving messages each day that has an event for your ancestor. 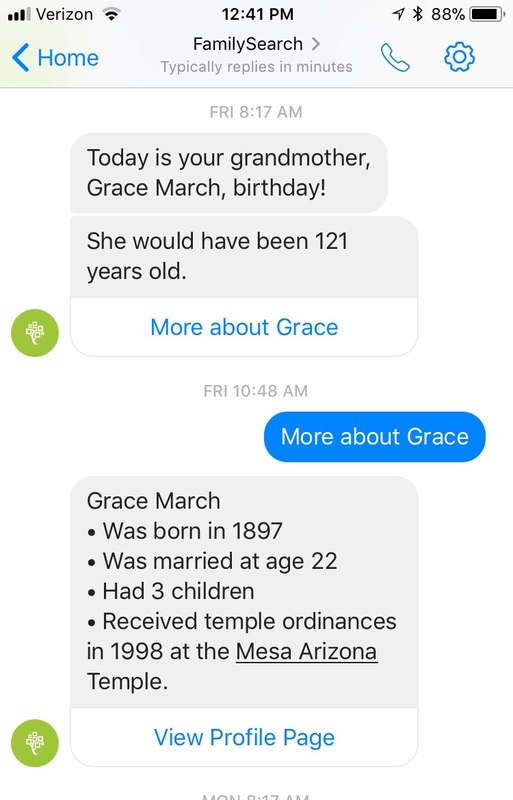 Here is the notification I received about my Grandmother Grace March. 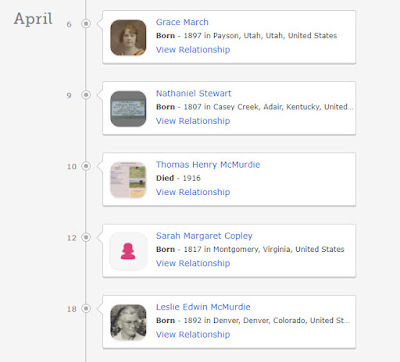 Clicking on the View Profile Page button takes me to her page in FamilySearch.